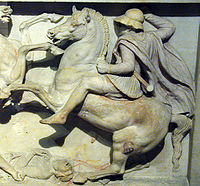 The Delian League, founded in 478 BC, was an association of Greek city-states, with the number of members numbering between 150 and 330 under the leadership of Athens, whose purpose was to continue fighting the Persian Empire after the Greek victory in the Battle of Plataea at the end of the Second Persian invasion of Greece. 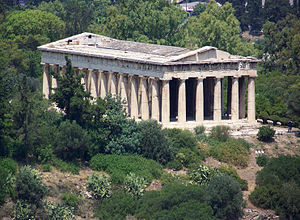 The League's modern name derives from its official meeting place, the island of Delos, where congresses were held in the temple and where the treasury stood until, in a symbolic gesture, Pericles moved it to Athens in 454 BC. 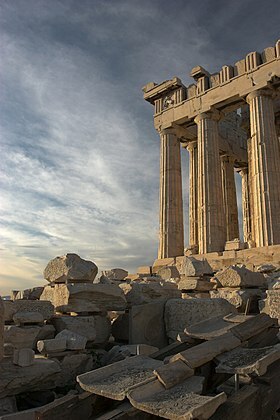 Cimon or Kimon was an Athenian statesman and general in mid-5th century BC Greece. 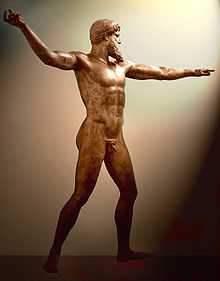 He was the son of Miltiades, the victor of the Battle of Marathon. 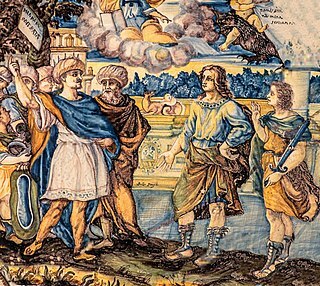 Cimon played a key role in creating the powerful Athenian maritime empire following the failure of the Persian invasion of Greece by Xerxes I in 480–479 BC. 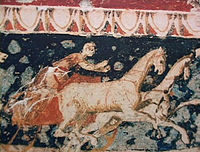 Cimon became a celebrated military hero and was elevated to the rank of admiral after fighting in the Battle of Salamis. 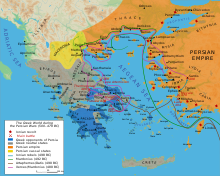 Pentecontaetia is the term used to refer to the period in Ancient Greek history between the defeat of the second Persian invasion of Greece at Plataea in 479 BC and the beginning of the Peloponnesian War in 431 BC. 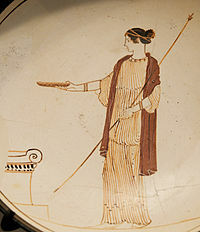 The term originated with a scholiast on Thucydides, who used it in their description of the period. 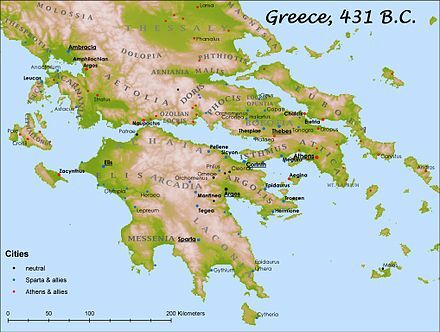 The Pentecontaetia was marked by the rise of Athens as the dominant state in the Greek world and by the rise of Athenian democracy. 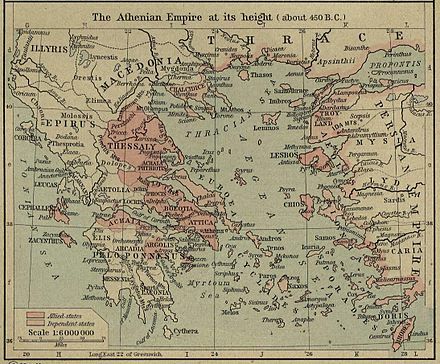 Since Thucydides focused his account on these developments, the term is generally used when discussing developments in and involving Athens. 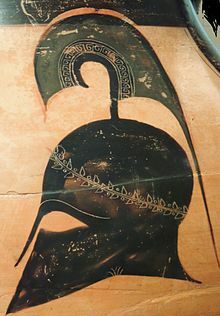 The Theban–Spartan War of 378–362 BC was a series of military conflicts fought between Sparta and Thebes for hegemony over Greece.